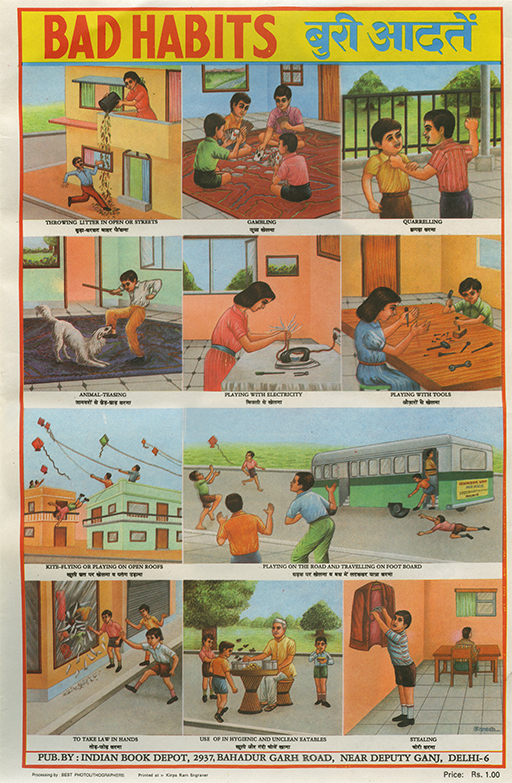 I've always loved the classic Indian educational posters of the Indian Book Depot, Map House. Today I discovered The Indian Book Depot is now online! The site features a fairly comprehensive collection of their classic posters and maps. You can also find the charts in a beautiful oversized (and now out of print) book called An Ideal Boy. p.s. How many of you had the Monks 'Bad Habits' start playing in your mind when you saw the title for this post? One of my good friends had this exact same poster hanging on her bedroom door. Years ago. I always thought it was awesome and I can't believe you posted this. Thanks!